These two tiny birds have much in common. 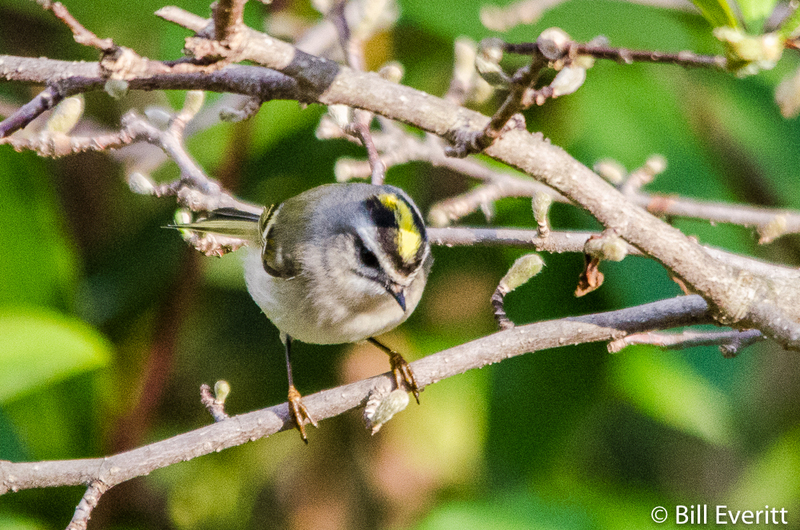 They are both kinglets, which are among the smallest of all passerines, ranging in size from 3.2 to 4.3 inches and weighing 0.2–0.4 ounces. They have medium-length wings and tails, and small needle-like bills. The plumage is overall grey-green, offset by pale wingbars. Since the crests are not always visible, we depend on the eyes and crown to tell them apart. The Ruby-crowned has a relative plain face and crown with a pale white eye ring. The Golden-crowned has bold striping on the dace and crown, including a strip through the eye. These birds are here only during the winter. We’ve seen them between the end of November into the first of March. They are fun to watch. Noticeably much smaller than any other bird (except hummingbirds of course), they move around constantly, flitting from branch to branch in search of insects. They will also visit suet feeders. And as small as they are, they’re feisty and not easily scared off by your presence. 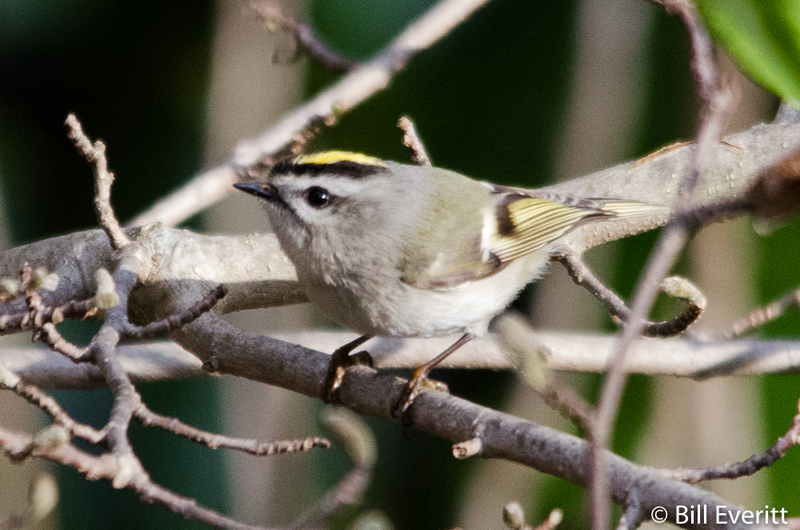 Compared to the related Golden-crowned Kinglet, the Ruby-crowned Kinglet is slightly larger and more elongated. 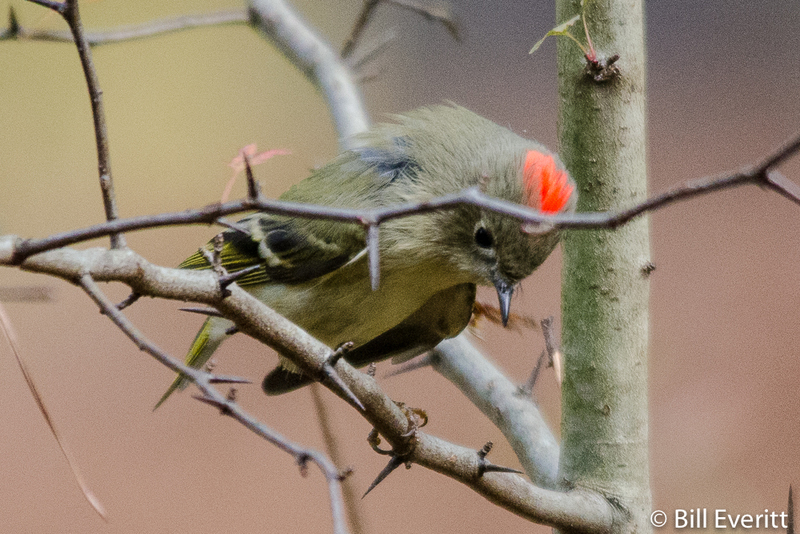 Ruby-crowned Kinglets forage actively in trees or shrubs, mainly eating small insects and spiders, some berries and tree sap. They may hover over a branch while feeding and sometimes fly out to catch insects in flight. The red crest is raised when agitated or in display. 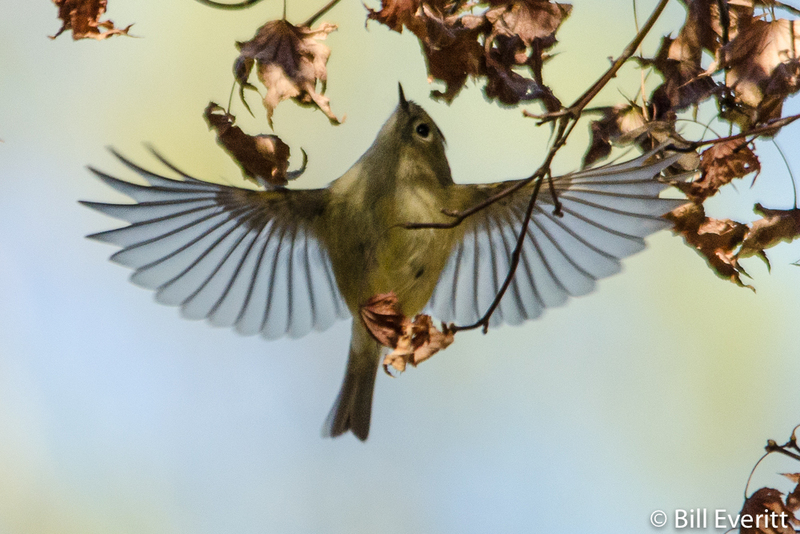 It’s this hovering action, much like a flycatcher, that first caught our attention.